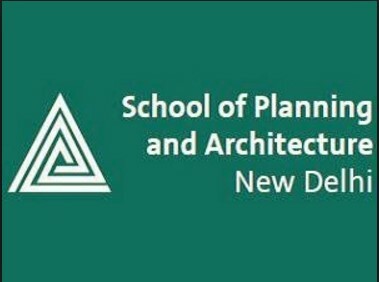 School of Planning and Architecture Delhi Admission 2018 admission process has started from 26 February 2018 and candidates can apply till 16 March 2018. The School of Planning and Architecture (SPA) was started in the year of 1941 as a Department of Architecture of Delhi Polytechnic and later affiliated with the University of Delhi. SPA Delhi offers Undergraduate Course, Post Graduate Course, and Doctoral Program in the field of Architecture. At the UG level, SPA Delhi offers two courses such as Bachelor of Architecture and Bachelor of Planning. School of Planning and Architecture Delhi Admission 2018 will be based on JEE (Main). SPA Delhi campus is located near ITO in Indraprastha Estate in New Delhi, SPA Residential Campus and Hostel are located at Maharani Bagh, and the proposed new campus of SPA will be located in south Delhi. The main objective of the institution is to provide innovative architectural professionals to the construction industry. Latest Update: The application process for the PG programmes has been started from 26 February 2018 onwards. Candidates can apply for the UG programme admission by following the link given on the page. The admission in UG courses will be based on JEE Main Paper 2. The number of seats offered in School of Planning and Architecture Delhi in the undergraduate and postgraduate course is given in the table for each category. The candidates can find the number of seats for each category in the table below. The eligibility criteria given is for the undergraduate as well as for the postgraduate course. The detail information on eligibility for UG and PG course is described below. The below details are given for the eligibility required for the admission in undergraduate courses offered by School of Planning and Architecture Delhi. Academic Qualification: Candidates who have obtained at least 50% marks in aggregate with Mathematics subject in Class 12 are eligible for the Bachelor’ Degree program offered by School of Planning and Architecture Delhi. Qualifying Exam: Candidates must have a valid scorecard of JEE Main Exam 2018 conducted by the Central Board of Secondary Education; selection will be based on this examination. The details below are provided for the eligibility required for the admission in postgraduate courses offered by School of Planning and Architecture Delhi. Master of Building & Engineering Management Bachelors’ degree in Building Engineering or Civil Engineering or Architectural Engineering or Building Science or Architecture from a recognized University or equivalent, or Five-Year Diploma in Construction Technology from a recognized University or an institution established by an Act of Parliament or State Legislature. For Transport Planning: Masters’ Degree in Economics or Statistics or Operations Research from a recognized University or equivalent. For Urban Planning: Masters’ Degree in Geography or Economics or Sociology from a recognized University or equivalent. Candidate can obtain the School of Planning and Architecture Delhi Application Form from the admission office of the institution or they will be available soon on the official website of the School of Planning and Architecture Delhi. STEP 1: The candidates need to register themselves on the official website of SPA Delhi by clicking on the “New Register” to apply for the admission in PG courses in School of Planning and Architecture. To register, the candidates need to provide their valid email id in which the login credentials of the candidates will be sent. STEP 2: The candidates then need to login to the official website through the login credentials which they received on their valid registered email id. STEP 4: After filling all the details, the candidates need to upload the documents in which they have to upload photograph, signature and final year thesis. The candidates are advised to check the details of the application form before the final submission because once the application gets processed then the candidates will not be able to do any changes. The candidates are advised to keep a printout of the completed application for future references. After successful submission of the Application form, an application number will be generated. The candidates are suggested to note down the Application Number for future correspondence. The applicants have to pay the application fee for the registration at the time of the application form submission. The application fee of the SPA Delhi Undergraduate Admission is given below. Candidate selection will be based on the valid scorecard of JEE Main Examination 2018 conducted by Central Board of Central Education CBSE followed by JoSSA/CSAB Counselling. candidates will be intimated with the merit list of the selection based on their performances in the qualifying exam i.e. JEE Mains, Shortlisted candidates have to reach the campus with the listed below documents on all working day as proof of their candidature, after which the other admission formalities will be carried out. The Interview/Test for PG Admission-2018 for the Department of Industrial Design will be held from 2nd to 4th April 2018. Certificate of SC/ST/OBC/Domicile/Armed Personnel/Physically Challenged/Kashmiri Migrant in respect of the candidates selected under the reserved category. School of Planning and Architecture Delhi Admission will be based on the scores of the Joint Engineering Exam JEE - 2018 which will be conducted on 8 April 2018 fpr Paper 1 and Paper 2. Applicants can check the respective exam pattern of JEE Main Exam by following the link given below. The admission in Master of Design (Industrial Design) will be done on the basis of CEED score which is mandatory for the candidates not having Bachelor's degree in Architecture. The Examination will consist of two parts, PART A and PART B. Both the parts will be conducted on the same day. Section 2: The candidate will be awarded 2 marks only if all the correct answers are selected. This part of the examination will be given on answer book.